It’s easy to say that Tom Hanks is one heck of an amazing person. There are plenty of stories about how down-to-Earth he is. He’s always ready to step in and save the day. His improvised Shakespeare stunt will have you amazed by just how he is ready to help. 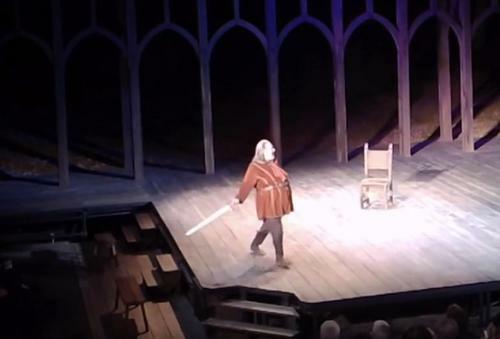 Tom Hanks has been dabbling with some Shakespearean theatre recently. He’s known for doing some ad-libbing. It’s a good thing he’s good at it because he had to put it into overdrive recently when there was a medical emergency. His ad-libbing made it easier to calm the audience. 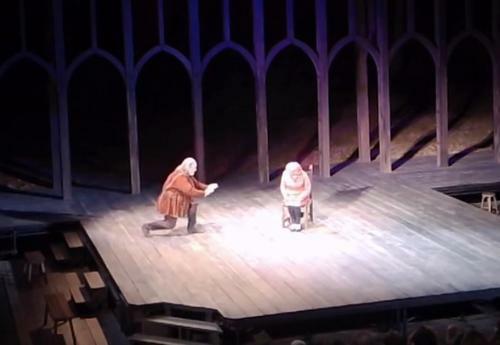 It was during a performance of Henry IV when a theatre-goer had a medical issue. Tom Hanks, 61, was portraying Sir John Falstaff during the production. An audience member became ill. It was, then, that Hanks decided to do a bit of improvising. It was on June 13 at the VA West LA campus. The show was paused for 15 minutes because of an audience member fainting. Hanks, still in costume, came back out onto the stage. He made it easier for people to focus on the stage instead of the audience member. It allowed military veterans with medical training to help the individual until the paramedics arrived. He announced to everyone that God decided that a second intermission was needed. 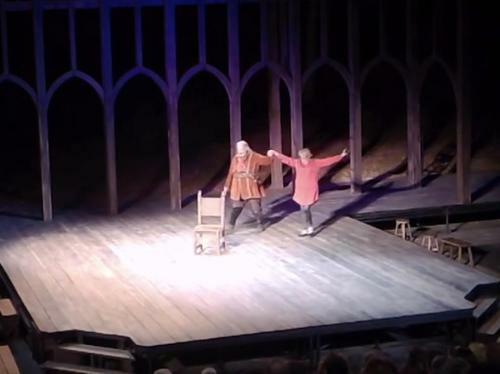 The Shakespeare Center of Los Angeles, the ones responsible for the production, were kind enough to share the video online. The two-time Oscar winner stayed in character throughout the entire “second intermission” to help to keep the attention of the audience. Some audience participation helped to add a bit of humor to the situation, too. Anyone who attempted to leave their seat was called a “scurvy rogue” by Hanks. It managed to lighten the mood at the theatre while the audience member was cared for. Luckily, that individual regained consciousness and was released from the hospital later in the day. The video is hilarious, and you can hear the laughter as the crowd enjoys Hanks’ ad libs while staying in character.